The Israelites reportedly took 40 years in the wilderness on a journey that ordinarily took a month. Clearly, something was not right. Suffice to say, gross indiscipline and an inability to cope with a new environment were their major drawbacks. This is erringly similar to our own circumstances today. Self-doubt, self-flagellation, slothfulness and an enervating loss of national pride seem to be negatively weighing on the national psyche. The lynching and bashing of Strive Masiyiwa online for merely calling for the removal of sanctions and his wish for a better Zimbabwe show how damaged we have become. We are a nation that has either forgotten its destiny or is so disillusioned that it is reluctant to work to change its current circumstances. Zimbabwe must continue on a path that ensures prosperity, guarantees jobs and restores national pride. While accepting that Government had little choice but to amend Statutory Instrument 122, as Buy Zimbabwe, we continue to caution against flooding the country with cheap imports. However, a safety net for fledgling local industries can be created through the speedy implementation of the Local Content Policy. Cabinet's recent decision to expeditiously work on the envisaged policy is most welcome. Even more welcome are plans to establish an Industrialisation Fund that targets the SMEs sector. But everything either rises or falls on implementation. In the words of one Zambian minister, Zimbabwe is known for "aiming rather than shooting". We hope that with the new political administration, things will be different. At a recent meeting between President Emmerson Mnangagwa and business leaders, Reserve Bank of Zimbabwe Governor Dr John Mangudya said the country spends an estimated $500 million per month on imports against exports of $400 million. The shortfall of $100 million has, therefore, to be found from somewhere. As a country, we spend $20 million each month on importing crude oil for the cooking oil sector. Currently, local content in cooking oil is less than 40 percent. Similarly, the central bank also spends $16 million to import wheat. We therefore spend $320 million over nine months on these raw materials. But some, if not most, of these raw materials can be produced locally. Currently, our soya beans and wheat farmers only produce enough to last a maximum of three months, which means the gap – for the remaining nine months – is covered through imports. Resolving our challenges in the short- to medium-term means we have to cut our import bill by $100 million. We must be able to produce sufficient soya beans and wheat stocks. Local manufactures should also be urged to source their raw materials locally. Put simply, a Local Content Policy is a structured programme – based on comparative and competitive advantages – to use local raw materials in select value chains in the production of various goods and services for local and export markets. There is definitely a difference between a trade measure such as SI 122 and a Local Content Policy. A trade measure seeks to manage imports, while a policy designed to promote local production and consumption is much broader, internally focused and long-term. In a world that has become increasingly interdependent, local content policies have become necessary and relevant because countries that have nothing to trade risk being impoverished. Although globalisation creates bigger markets, it is a double-edged sword. Delta Beverages, the country's biggest beverage company, is an example of a firm that has been able to nurture vibrant value chains. Fifty years ago, the business took a decision to source one of its key ingredients, barley, from the local market. Over the years, the company hasn't had to import even a single tonne of barley. Not only has this helped save foreign currency, it has created thousands of jobs for smallholder farmers as well. Schweppes – which manufacturers Mazoe – also made a conscious decision to use locally grown oranges and fruits. The firm has since entered into a number of contract farming arrangements to ensure constant supply. Schweppes now sources 80 percent of this key ingredient locally. When a company has local and international markets, the benefits are far-reaching. In addition to generating foreign currency, local value chains also help create jobs. But companies following Delta and Schweppes' model are an exception rather than the rule. If value chains are not well developed, this means growth doesn't trickle down to the rest of the economy. Most people do not feel obliged to support local industry because it is not supporting local jobs. The reason why developed nations have citizens that are fussy about job creation, industrial development and trade issues is simply because they know how these directly impact on their livelihoods. Conversely, in developing nations, most of which have burgeoning informal economies, these key economic fundamentals are not considered to be critically important. The link between production and consumption in these kind of economies is rarely seen. It's unfortunate that local businesses haven't been proactive enough in ensuring that they build local value chains that engender a mutually beneficial ecosystem. For the Local Content Policy to succeed, it must have public support and for that, industry and commerce must ensure that they are viewed as entities that are motivated less by profit, but more by the desire to make Zimbabwe a better country. 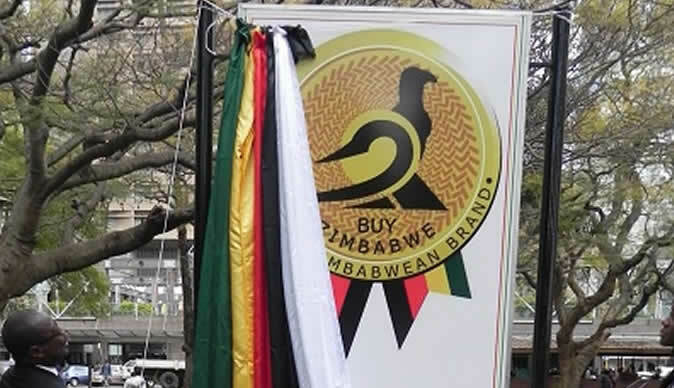 Companies must take advantage of the Buy Zimbabwe week – November 2 to November 6 – to move out of their comfort zones and be conscious to the need to promote local value chains. Government will do its part through implementing the Local Content Policy.